Upgrading to new versions of Windows is necessary for many reasons, whether it is because of a device being replaced, to gain access to new features, or to take advantage of the latest operating system (which is free until July 29th). At times upgrading can be painful when older, yet necessary, programs linger. Programs that have been orphaned, or are not updated often, make upgrading more complex when these older programs are still needed. Luckily, running old programs on unsupported Windows versions does not need to be difficult. 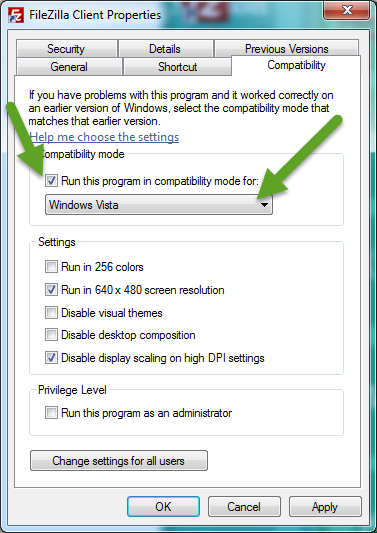 There is a way to run older programs on newer operating systems by taking advantage of Window's built-in compatibility mode feature. This process involves forcing a program to behave as if it were running on an older operating system by default. Right-click on the name of the program and select "Properties". 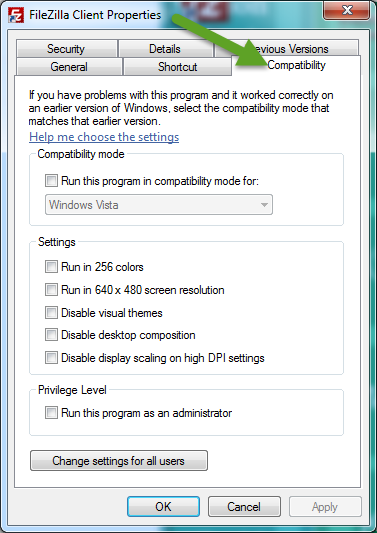 In the program Properties box, click on the "Compatibility" tab. 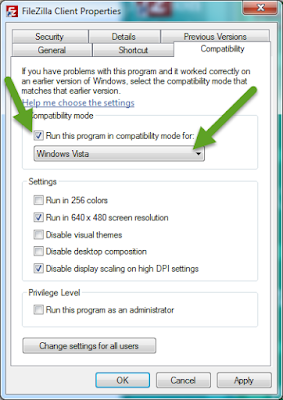 Under the Compatibility Mode section, check the box next to "Run this program in compatibility mode for:", then select the appropriate operating system from the drop down menu. NOTE: Different programs will have different versions of operating systems available to select from. 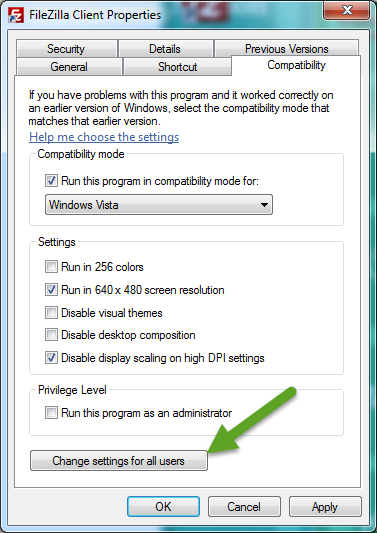 If more than one user is using the program on the same device, click the box to "Change settings for all users". Click "OK" to save and apply this setting. Once this customization has been made, open the program normally and it will default to running in compatibility mode with the operating system chosen. Older programs are often necessary for business continuity. At times older programs are easier to use because we are more familiar with them or they support features we still need and cannot otherwise replace. 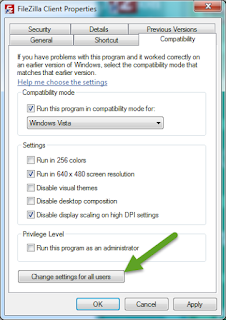 Setting a program to run in compatibility mode with an older operating system is simple and allows the luxury of moving on to better hardware while continuing to use favorite and/or necessary programs. As always, technology moves on, but in this case, programs do not have to!